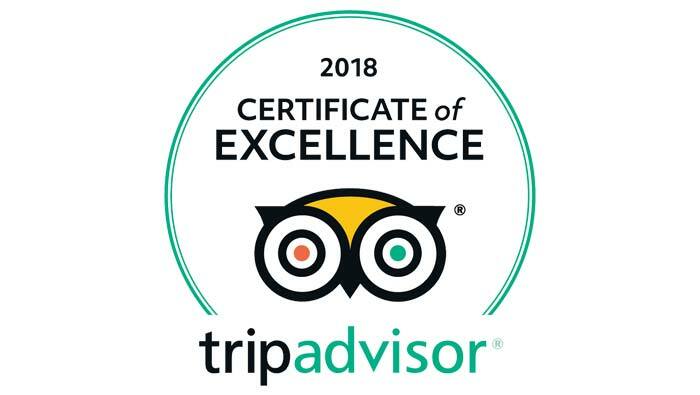 The Norfolk Arms Hotel has been awarded a 2018 Certificate of Excellence from TripAdvisor, based on the consistently great reviews earned on the world’s most popular review website. Each year, TripAdvisor awards approximately 10% of the businesses listed on its website with a Certificate of Excellence merited on the consistency and quality of service offered to guests. Hotels must maintain an overall TripAdvisor rating of at least four out of five over a 12-month period in order to qualify. The actual Certificate of Excellence recipients are then selected via an algorithm looking at a variety of user-generated content taking into account the quality, quantity, and recency of user reviews, as well as the business’ tenure on the site. The Norfolk Arms Hotel has successfully achieved the four out of five average rating required with more than 71% of users classing their hotel experience as excellent or very good in the process. Currently, the Norfolk Arms Hotel is listed third best hotel in Arundel, and 8th best value of 560 places to stay in West Sussex, which is a massive improvement to where the hotel ranked 12 months ago. Recently appointed General Manager of The Norfolk Arms Hotel, Mark Monkton, was understandably delighted with the recognition. He said “This is great news for the hotel. The fact that this comes directly from guest feedback via the biggest and most popular travel review website in the world proves how significant it is. “Although I’m still relatively new to this role, I’ve lived in the Arundel area for many years and I’m aware about how the Norfolk Arms has been perceived in years gone by. This is slowly starting to turn around and we’re seeing the fruits of our labours. Mark’s appointment of General Manager at The Norfolk Arms Hotel has coincided with many other exciting developments at the hotel. A new craft beer and coffee shop, The Norfolk Tap, has been opened at the hotel, while a complete restaurant re-brand has also taken place. The new Castle Restaurant is now open for business and an exciting new menu available.